Will Honda BRV SUV head towards India? 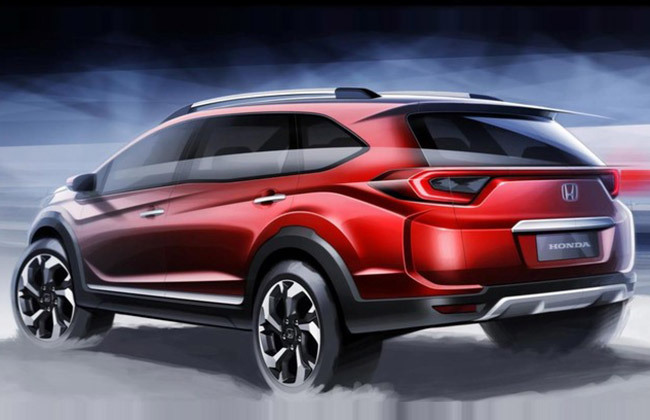 A new 7-seater compact SUV by Honda named Honda BR-V made some noise in the month of June, The Global Honda team officially confirmed that the company is launching Honda BRV compact SUV and also released renderings of BRV in their press releases 2 months back. You can check out the photos of Honda BRV which we shared in our earlier post. What we are curious to know is, if Honda BRV would be launched in India or will it be launched in specific countries. If yes what is the price of Honda BRV in India? Honda calls thIS new BR-V as next generation CUV – Crossover Utility Vehicle. BR-V from Honda is going to first make its presence in the Gaikindo Indonesian International Auto Show 2015 which is going to be held between August 20 to August 30 of 2015 in Indonesia’s Tangerang. Though we know that Honda BRV would be showcased in an International Auto Show in Indonesia, we have no information on when the new BRV is launching in India. The price of Honda BRV in India is expected to be around Rs 8 to 12 lakhs in India (This is just an approximation for the base variant of BR-V and this could be much higher). Going by the lines of Honda, the BR-V shall sport a “tough and solid” exterior with a pretty high ground clearance and bigger alloy wheels. The photos/sketches of Honda BR-V when seen closely reveals the presence of projector headlights, skid guards as well as body cladding. 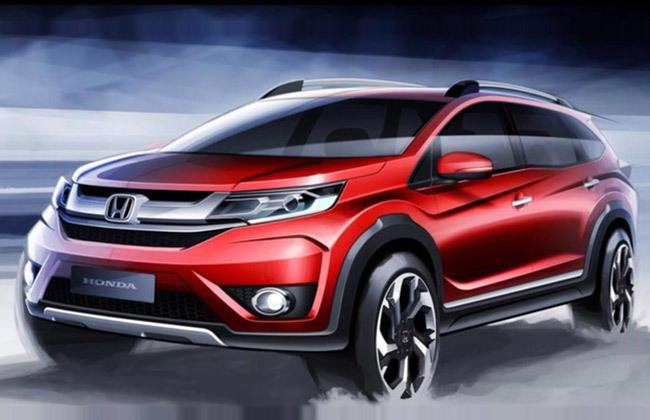 Details on full specifications and available colors of Honda BR-V is awaited. We are expecting more news from Indonesian Auto Show where the car is going to be showcased between August 20 to August 30.